Flower Delivery Information - How Will Your Flowers Arrive?  Home » Flower Delivery Information - How Will Your Flowers Arrive? Sending flowers to someone is a lovely gesture, full of happiness and appreciation for everyone involved. Our aim as your one-stop flower delivery shop is to make it easier than ever to send flowers online to friends, family, colleagues and loved ones to make them feel happy, noticed and most importantly remembered. To send flowers is to send more than simply a present, you are sending your best wishes, your thoughts, your kind words and your emotions; with so much at stake in a single delivery it is important to know you can trust those who handle your order. Our courier delivered bouquets and our postal delivered bouquets will be prepared by one of our florists at our central location, before being safely placed in a box for protection during the transit period. You will be able to see if your flowers are selected from our range of courier or postal delivered flowers by looking below the product image when viewing your flowers online. One of our promises to you is that your flowers will be guaranteed in freshness for at least seven days. As we see it, sending flowers is something that should be enjoyed for as long as possible and remembered for even longer. To ensure your flowers will be only the finest and freshest stems for as long as possible, some stems may arrive in bud. This is to further protect the flowers while in transit, but to also allow the flowers to last even longer. From our experience, watching the flowers burst into full bloom in the days following the delivery is part of the magic. We understand that you have chosen a bouquet for a reason, whether it is a particular flower, colour or that the bouquet brings with it a gorgeous scent and we make every effort to ensure that the bouquet you receive resembles the bouquet ordered as closely as possible. There are rare instances in which some flowers are unavailable due to seasonal or local availability, on these rare occasions we will endeavour to substitute any flowers with reasonable alternatives, always within the same colour scheme, style, value and quality. Can I change anything about the bouquet? If you have any specific requirements regarding your flower delivery, maybe you love our flowers but the recipient is allergic to lilies or has pets to which the lilies may be harmful, we will do our very best to accommodate these requirements. For some of our bouquets we are unable to change the content but our expert Customer Service team will be glad to discuss alternatives to ensure your flower delivery is not only well received and well enjoyed but also safe for all those involved. If you have any specific requirements please get in touch with us as soon as possible to allow us to be of assistance.